Anni Besant is a popular name when we read about the freedom path that our nation India has followed. She rightly said, India is a country in which every great religion finds a home.” India is one of the nations that fought for its freedom. It finally accomplished the same after great efforts. Though India was declared to be an independent nation on August 15, 1947 but the constitution of India was enforced on January 26. It is for this reason that January 26th is celebrated as the Republic Day of India every year. There are many events that are organized on this day. These are organized not only on national level but also on individual levels by people, institutions etcetera. 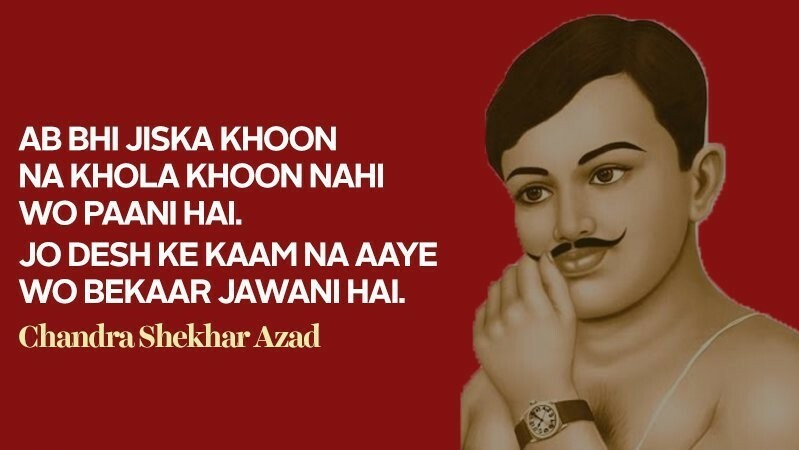 Here we are with the best patriotic quotes by Indian Freedom Fighters. There is no doubt that patriotism is hid in all of us. So that these patriotic feeling never fade away it is necessary to keep oneself in touch with the sayings of those who sacrificed a lot for the independence and democracy that we today enjoy. These quotes by the great freedom fighters of India can be a perfect means to replete yourself with the patriotic energy and upload these as good captions for your social networking accounts. The way the quotes of Subhash Chandra Bose like, “Give me blood and I will give you freedom” holds a special place in the history, in the similar way there are many of the other quotes also that have deep meanings hid within. It is usually said that things that are earned holds the greatest value in our hearts. In the same way our independence does too. Don’t see others doing better than you, beat your own records every day, because success is a fight between you and yourself. Unlike the drop of water which loses its identity on joining the ocean, man does not lose his being in the society he lives in. He is born not for the development of society alone, but for the development of himself. Patriotism is religion and religion is love for India. There is no dream, and if there is, there is only one to see you my children struggling for the same and for which I am expected to be finished. In attaining our ideals, our means should be as pure as the end. All in all, these are the best patriotic quotes by Indian Freedom Fighters. The best way to conclude the article would be highlighting a quote by one of the greatest female freedom fighters of India. She is none other than Sarojini Naidu. It goes as follows, “Country’s greatness lies in its undying ideals of love and sacrifice that inspire the mothers of the race”. If you have more such quotes in store do share the same with us in the comment section below.